A recent Op-Ed from the Los Angeles Times takes a look at the future of medical marijuana in one South Los Angeles district. As the author notes, the majority of California voters who voted supported the legalization of marijuana for recreational use for adults. There are a variety of reasons why people supported Proposition 64, otherwise known as the Adult Use of Marijuana Act. Some people realize that marijuana is not dangerous and there is no reason it should be outlawed. Other voters, do not necessarily love the idea of people smoking marijuana, but realize that it is going to happen regardless and this way we are not spending billions on a so-called war on drugs that is clearly not working. Not only was the state losing money on enforcement, the state was also losing money to the black market, as they were not able to tax marijuana. Some still compared what the state was doing now to what we had in prohibition of alcohol at the federal level. People will still drinking alcohol in large numbers, and the only ones making any money on it were bootleggers and organized crime. These otherwise reluctant supports see many parallels between prohibition and outlawing marijuana and to avoid future problems, they voted Proposition 64 into law. The author of this article discussed how he is eager to have his State Assembly District 59 allow for medical and recreational cannabis. There are many reasons for this. One is that this legislative district covers much of South Los Angeles, which is an historically impoverished area. There is a lot of money to be made in the cannabis industry, and this could be a good way for people in the area to make money. The area has also been particularly hard hit by the war on drugs, and this would be a way to allow the area to benefit from the recent legislative changes. As our Los Angeles marijuana industry attorneys can explain, there will be a lot of money to be made in the ever-expanding cannabis business. 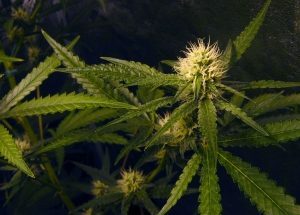 However, as we can see from this article, it will not be legal to grow and sell everywhere, so you want to make sure you are on the right side of the law. This is true for businesses that are already in existence and for those who are just entering, or planning to enter, the market. In addition to the regulations pertaining to marijuana from the new laws being passed, there are still many zoning and land use ordinances that are already in place to which you must adhere. We have seen many businesses over the years that were otherwise compliant with all medical marijuana laws, and these other issues resulted in serious fines and even locations being shuttered. You do not want to fall into this category if at all possible. For this reason, the best thing you can do is to speak with an experienced medical marijuana attorney as soon as possible. There are many attorneys who are trying to jump on the bandwagon, now that there is more money to be made, but you want to make sure to choose someone who has been in the industry for a long time and knows how things work.